It includes length encoder unit, panel pressing mechanism, saw blade feeding and rotation device, band saw, work platform, dust collecting system, flexible frame, etc. 1. The main function of band saw cutting machine is automatically measure length according to length encoder and continuously cut sandwich panel according to set length, dust will be collected at the same time. 2. 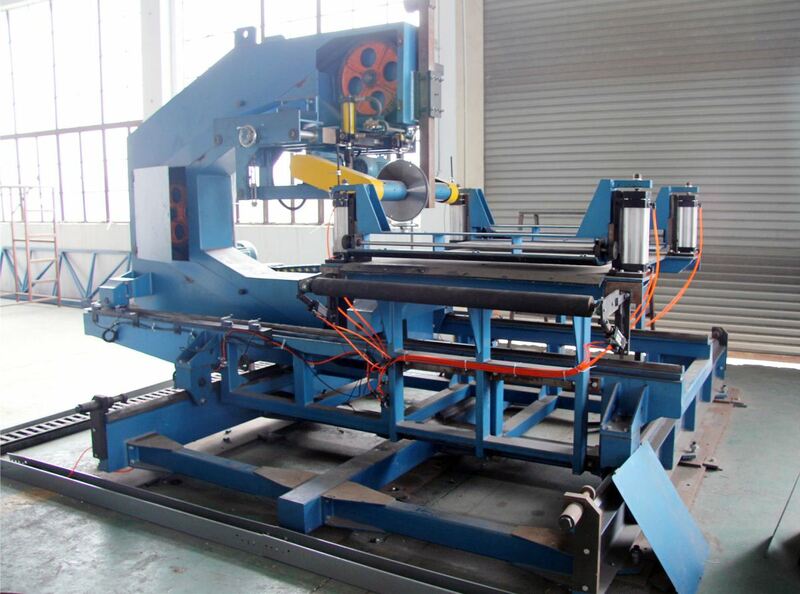 Band saw transverse feeding adopts liner guide and rack gear transmission. 3. Band saw longitudinal tracking adopts high precision liner guide and rack gear transmission. 4. Band saw blade can rotate in 180o, to cut back forth.